It is said that glue is what made Genghis Khan’s army invincible: his soldiers used a strong and flexible bow, made of wood and horn that were held together by a “miraculous” paste. Even Antonio Stradivari's success is partly due to the glue he used to treat his violins' wood. And the adhesive mixture is responsible for the “Chippendale revolution”, since Chippendale was the first to use glue instead of nails to build his furniture. Until the 18th century, glue is surrounded by a mysterious aura and artisans pass on their secret recipes based on bones, horns and animal cartilage from one generation to the other. During the 19th century, the glue formulation gets standardized, but we need to wait until the end of World War II to see the first synthetic products enter the market. In 1951, Giuseppe Fossati acquires the Italian branch of Wilhelm Brauns, - the German chemical company where he worked as a salesman – and founds Wilbra together with a former collegue who is a chemist. The catalogue includes coloring agents, wood mordants, waxes, cake flavorings and liquor extracts (like the Sportsmen liquor or the notorious Mother-in-law’s Milk). 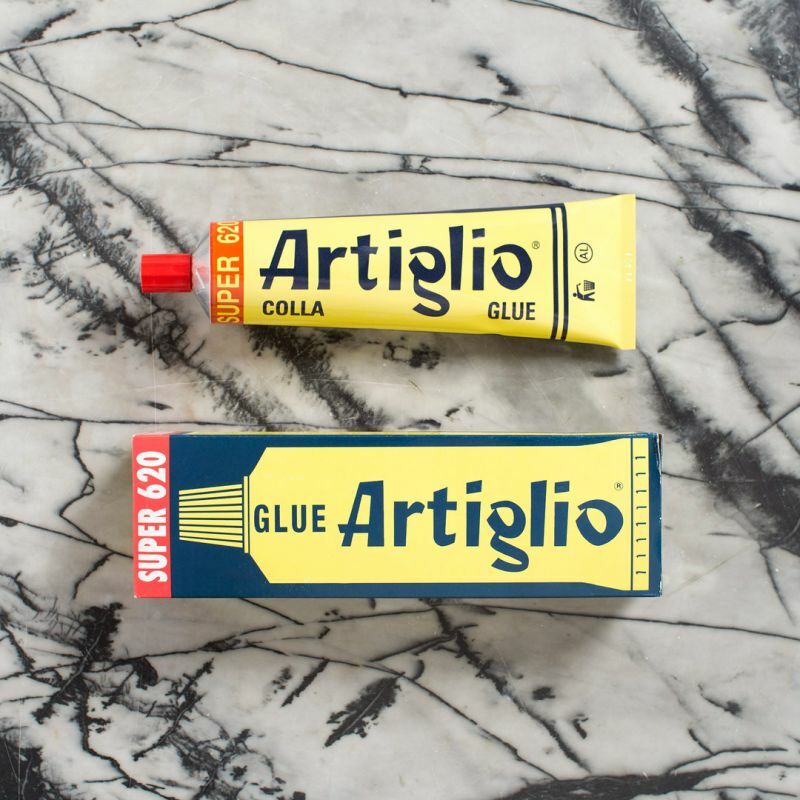 Very soon Giuseppe focuses on the shoemakers' needs: he creates waxes and repair products, but his distinctive sign becomes the Artiglio glue (“artiglio” meaning hook), an adhesive paste that replaces natural rubber. Having worked as a salesman, he knows the importance of a strong message, and therefore, when it comes to designing the packaging, he asks for bright colors and chooses an evocative name: "hook", a nail capable of grasping and not to leave the grip. Today the third-generation company continues production in its factory in Lombardy with the same desire to read the upcoming trends and capture them in a tube. Thus, among shoe polishers, they come up with innovative colors, and a fluorescent and glitter palette: a jump into the future without forgetting their roots.